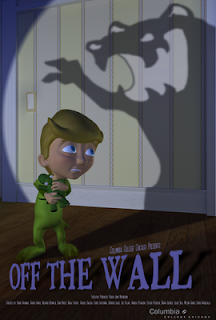 This is the poster that I designed for our class's short film Off The Wall. The poster can be seen live and in person on the fourth floor of 1104 S Wabash where Columbia's animation department is housed. Woo! I'm finished with all the animation for my APS class. The screening for Off The Wall is on Friday May 15. 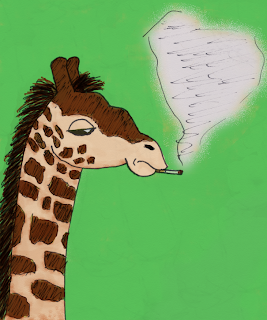 Until the, take a look at some aminals. Sorry I haven't been updating as frequently as I would like. I've been so busy and worn out from school. I have been working on my portfolio though and applying for places and looking for places to apply to. Off The Wall is coming along beautifully. There are four more weeks left of school and the screening is on the 15th of May. I'm excited and nervous. I'm worried about finding a job and not being at school anymore. It's just all so nerve-racking. 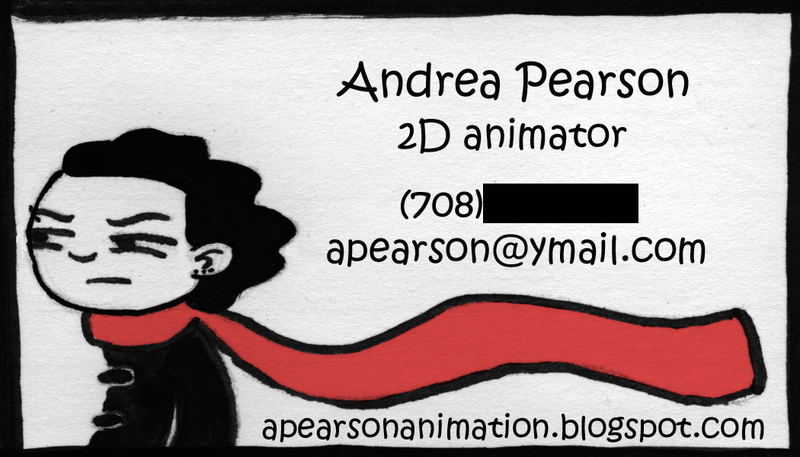 By the way here is my business card design. I just sent them to print and will have them hopefully by the end of next week. 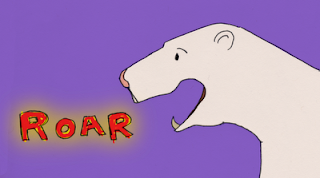 My portfolio blog is now up! It still needs a little tweaking, but I have a new edit of my reel up and samples of my work. Check it out and let me know what you think. Thanks! 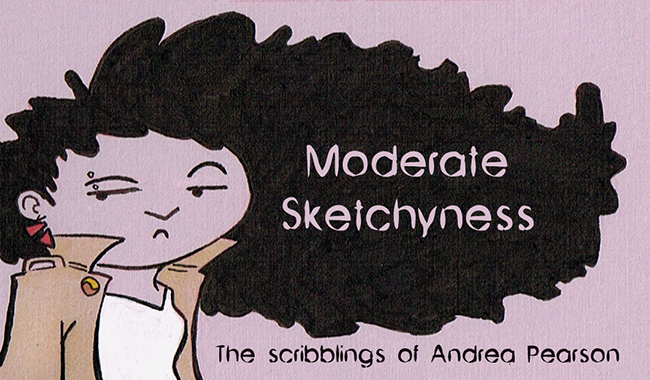 By the way, I will still keep updating this blog with all sketchyness I'm up to.